Downing College is set to withdraw all of its available investments from the fossil fuels industry, becoming the third known Cambridge college to announce a position favouring divestment. The college committed today to withdraw all indirect investments in the sector “where practically possible”, and to offset its remaining holdings with environmental impact funds. The opacity of the funds in which the college indirectly invests means it is unclear which individual companies it has holdings in, therefore the college cannot ascertain the exact exposure to the industry. 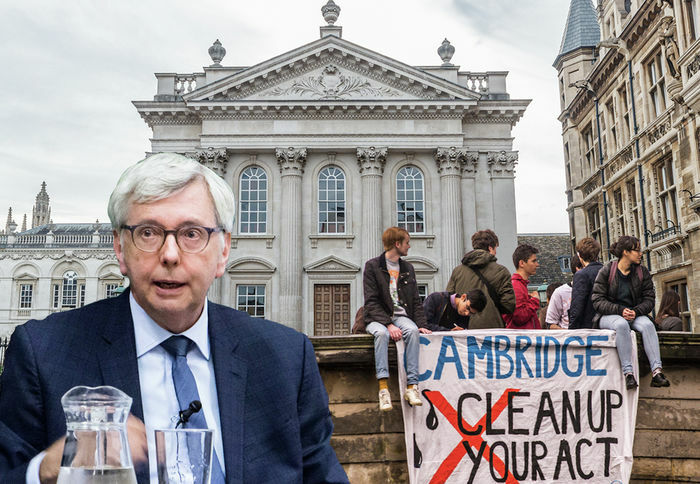 In July, Queens’ College announced it would divest the entirety of its £86.2 million endowment from fossil fuels industries in response to mounting pressure for Cambridge and its colleges to remove their investments from the sector. Selwyn College told Varsity earlier this month that it has adopted a long-term bias to disinvestment from the sector which will include the eventual selling of its Shell investments. Downing holds no direct investments in the fossil fuels industry at present. Its indirect investments are held in pooled funds managed by a firm of advisors, for which the college’s investment committee does not select individual stocks, “limit[ing] the College’s ability to influence investment decisions in particular sectors. The College's long term goal is to remove all indirect investments, including any in illiquid funds, however there is currently no formal time frame for this. These will be removed on a rolling basis, with offsetting measures used in the meantime. Downing will make investments of equal size in “funds which specifically exclude fossil fuels, or clean energy funds, or funds with a demonstrably positive environmental impact” to offset this residual fossil fuel exposure, said Downing College Master Alan Bookbinder. The college will estimate rough exposures of the firms and investments they have holdings in, producing a range to offset. In 2017, Downing’s investment portfolio totalled £45.6m. £30.4m came from securities, and the remaining £15.2m from its property investments. The decision comes after approximately two and a half years of work on the issue and discussions with senior members of the college. JCR president Jed Soleiman told Varsity: “It’s been a lot of backwards and forwards committees and ascertaining the right info behind the scenes. It mainly meant convincing the investments board of the college that this was a sound idea”. Colleges’ investments in fossil fuel companies came under new scrutiny earlier this month, after investigations by Varsity and Oxford student newspaper Cherwell found that seven Cambridge colleges have holdings totalling £20.7m in corporations engaged in oil and gas exploration, production and refining. Downing did not respond to Freedom of Information requests about their equity holdings. A Varsity investigation in June found that Downing was one of three colleges of those who responded to FOI requests to hold an ethical investment policy which stated explicitly what investments are in conflict with the college’s aims. The college’s policy states that such companies “may” include those “whose activities violate human rights, the environment, and best practice in social and stakeholder matters”. A spokesperson for Cambridge Zero Carbon said: “This is a tremendous victory especially for those who have worked so hard on the Downing JCR and is a cause for major celebration. This month, 15 college campaigns were launched by Zero Carbon to push for colleges to divest from the fossil fuel industry.